Written for vegans in Halifax and for visitors to the port city, this vegan dining guide answers all your questions about eating out as a herbivore. Queries that can't be answered by glancing at a menu are contained here. Much bonus material to be had, too, like interviews with three local vegan superstars, two chocolate recipes, and a series of handy indexes to help you out. 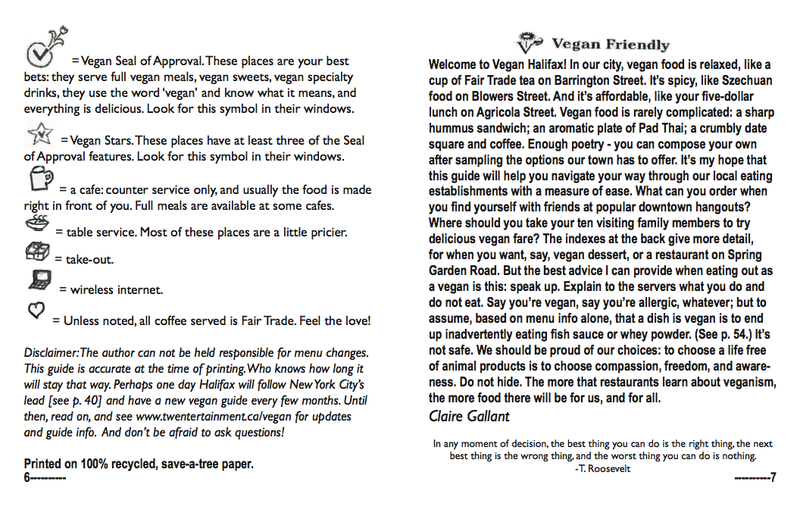 Look for our vegan-friendly symbols in restaurant windows to see which places love vegans! 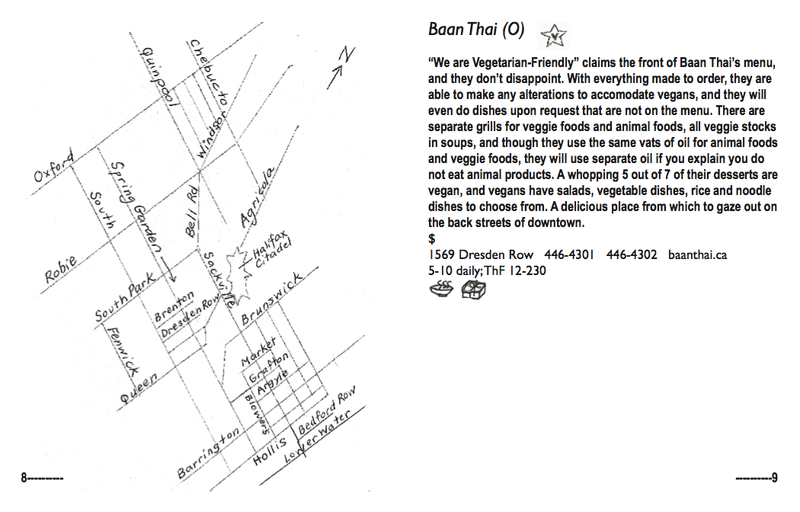 Note: Since being published in 2006, places listed within this guide may have changed their menus, moved locations, closed, etc. Please use as an initial reference only, and contact the establishment directly for more info. 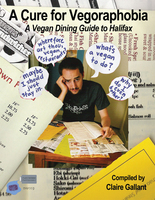 A limited pressing of this dining guide was released within the city of Halifax, Nova Scotia. No further pressings are planned.